Dividing fences are used to delineate the boundaries of two properties. Since it involves two parties, the matter usually becomes the cause of land and property disputes. By acting upon some essential rules and guidelines regarding the installation of a dividing fence and the material used in its construction, one can easily evade these needless disputes. Since it gets installed on the shared boundary line, thus a dividing fence is owned by both the property owners. They have to share the overall cost of its installation. However, if land area constraints the installation of fence on the shared boundary and some part of it has to be installed on one part of the land then it will formally be owned by the respective owner. In any case of fence dispute, it is prudent to negotiate with your neighbor on the matter directly. Since both of you installed it to boost the protection of your property from others and not each other. However, if things don’t get settled that way, seek advice from your attorney on land dispute resolution. In order to save yourself and your neighbor from redundant arguments and stress, follow this guide when you are going to install dividing fence. If you are going to have a dividing fence between two adjacent properties then it is important to have sufficient area to cover. It makes both the property owners more responsible to maintain it properly. With large property at stake, one will feel obliged to maintain it without getting complacent. In the beginning, get an agreement in writing that the installation and future maintenance expenses will be split into half to share equally by both the owners. Also make it part of the agreement that the fence will not be used for anything except the sole purpose of dividing and protecting the property. Many disputes arise when one of the parties starts to use dividing fences as one of their domestic articles. It would be wise to premeditate the issue of fence damage and can be addressed in a very simple manner. Make it part of your agreement that the liability of damages will be on the owner from whose side the fence gets distorted. A dividing fence should be within the height of 2 meters and must be built with durable material to withstand the calamities of weather, wild animals and livestock. 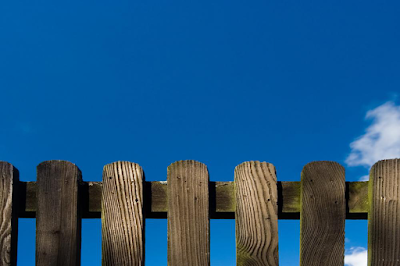 There are several materials that can be picked for the construction of dividing fences. Timber of all kinds including bamboos is a good option to erect dividing fences. If you want to go for more durable options then metallic variants should be preferred. Metal panels, chain wires and rods are used to construct the meshwork of theses fence. If you just want to demark the property then you can also go with hedge barriers. If you are a tenant on the property or your neighbor doesn’t want a shared dividing fence then drop the idea. You can still have your property circumscribed by a fence of your choice for better protection and security.